When a fishing net is lost or intendedly dumped it doesn’t lose its function: it keeps on fishing until it decomposes into another danger after 600 – 800 years, so-called microplastics. Every year several millions of sea creatures die, because they got caught in these uncontrollably floating ghost nets. They account for 46 % of the plastic waste in the Great Pacific Garbage Patch, the whole patch being 4,5 times the size of Germany. 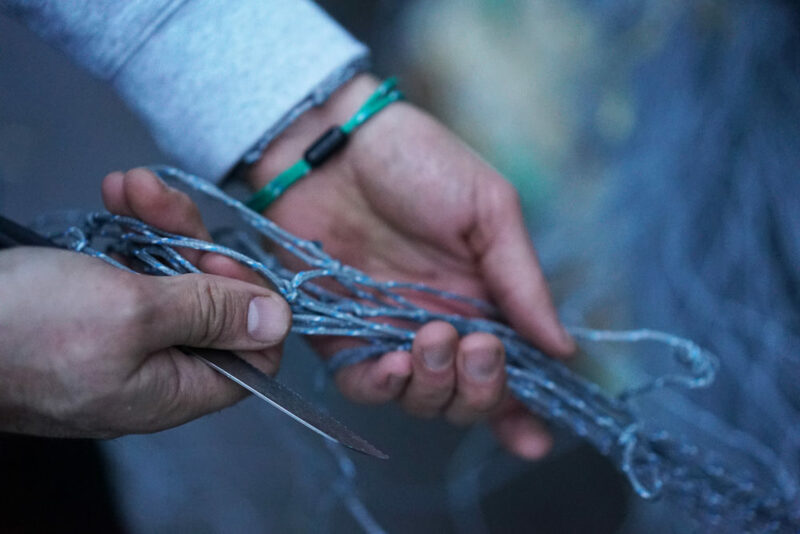 Together with our partners, we retrieve and clean the ghost nets all over the world and convert them into bracelets, which are more than a pretty accessory: an aide memoire, an inspiration and a conversation starter. Our aim is to make everyone aware of the danger caused by ghost nets. By wearing your Bracenet you become an ambassador to our joint goal: to protect the seas. Every Bracenet means a piece of ghost net less in the ocean. Therefore: SAVE THE SEAS, WEAR A NET. 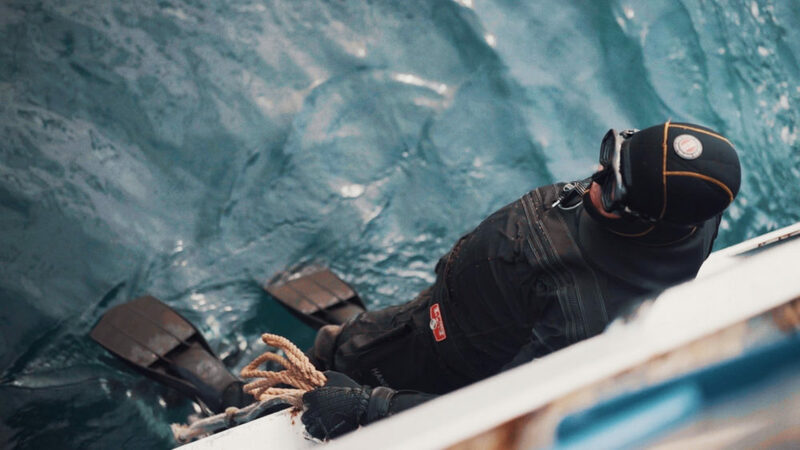 Together with marine conservation organizations Healthy Seas and Ghost Fishing, we free in depths of more than 30 metersreefs and shipwrecks of fishing nets that have been lost or intentionally sunk. After being retrieved, the nets are cleanedand treated by our partner Nofir using a specialist process. We generally only know what color the nets are once they are lying cleaned in front of us. The nets are then further hand-processed by us in Hamburg and made ready for dispatch. Each finished Bracenet is a unique piece because of the varying net structures, colors, and sizes. Bracenet donates 10% of the proceeds of each sold bracelet to our partner organisation Healthy Seas. Bracenet, a great and necessary initiative! Triathlon is a passion and a life style. A passion that creates a close connection between us - the thriatlets, the nature and our waters. To swim in open waters does not only remind us of the diversity and beauty of our oceans, but also reminds us of the issues which we have to deal with. Bracenet is sending a signal against pollution and exploitation and is therefore not only contributing to sustainability, but also makes a statement for all those that share the same passion for nature. Thanks to Bracenet a sensitive and important topic as the protection of the oceans is becoming tangible. And you know that by wearing a piece you are contributing as well. I’m a fan! The ocean is our origin our roots. All life is coming from it. The oceans deserve our love, sorrow and attention, not our litter and the unlimited over-fishing. Let’s send a signal against the exploitation of the oceans and its harmful consequences! As a shark adventurer, I try „to bring“ the charismatic predators of the oceans to people's living rooms and hearts. However, without clean waters and healthy fish stocks shark populations will shrink dramatically and entire species will disappear forever. Bracenet demonstrates that with love, willpower, and creativity it is possible to clean the ocean and protect its inhabitants. All this without having to put on a diving tank or sail the oceans. To wear a stylish bracelet is enough in order to do the first step into a sustainable future. Just great!